Jana Kantorová-Báliková is a Slovak poet and a leading translator of poetry from English. Born in 1951 in Bratislava, she graduated from Komenský University in Bratislava in pedagogical psychology and English. 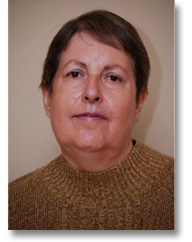 She has published five volumes of her own poetry, including the 2005 selection Pondelok v galérii [Monday in a Gallery]. She has translated more than twenty poets from English. The foremost of her translated books are: Elizabeth Barrett Browning, Sonnets from the Portuguese, 1978; Edgar Allan Poe, The Raven and Other Poems, 1979; Oscar Wilde, The Ballad of Reading Gaol, 1981; The Lake Poets, a selection of poems by Wordsworth, Coleridge and Southey, 1989; as well as editions of Selected Poems by William Blake, 1976; Robert Browning, 1977; Brendan Kennelly, 1984 and 2003; Percy Bysshe Shelley, 1995; Robert Burns, 1999; Seamus Heaney, 2000; and Douglas Dunn, 2009. She has been awarded the Slovak Literary Fund’s Cena Jána Hollého [Ján Hollý Prize] on two separate occasions, in 1981 and 1999, as well as the Special Prize of the Literary Fund of the Slovak Republic, also on two occasions, in 1995 and 2003. Between 1974 and 1977, she worked as literary editor for various journals and, from 1977 to 1990, as a poetry editor for Slovenský spisovateľ [Slovak Writer] publishers. Since then she has been a freelance translator.